National senior bathtub supplier, Aging Safely Baths announces new premium headrest pillows for walk in tubs. The company will now offer these deluxe headrest pillows to clients who would like additional neck and head support while taking a bath. Premium headrests for walk in bathtubs now available nationally! A national provider of premium hydrotherapy walk in tub products and handicap showers announces premium neck rest pillows for their step in bathing appliances. Customers can select from a variety of neck rest configurations and even have it personally customized according to their specific needs. When the subject of hydrotherapy comes up, there’s often a sense of relaxation in the air. A neck rest can also potentially help relax the bather and make them more comfortable. Ultimately being relaxed and safe while bathing are the primary objectives besides for cleaning off the body. Adding a neck rest may provide additional enjoyment and comfort for some bathers. 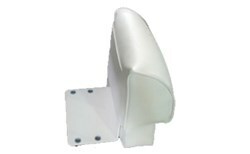 According to the company, commercial organizations can also have their logos embedded into the headrests. Hotels, nursing homes, assisted living facilities and even long term care centers can further brand their company’s image by adding their logo to the headrests. Products for the elderly and disabled are increasingly popular these days. It’s now pretty easy to find unique aging in place technologies such as wheelchair accessible handicap showers and hydrotherapy walk in bathtubs to help make living quarters more conducive to independence. It’s also common to install safety grab bars in the bathroom and other areas where stability may be a concern. Several of the appliances offered by the company have internal grab bars already pre-installed into the bathtub as well. Having this done prior to leaving the factory can help ensure integrity to the bathtub shell remains intact. According to Aging Safely, customers can also select additional grab bars that can be mounted directly to the wall studs. 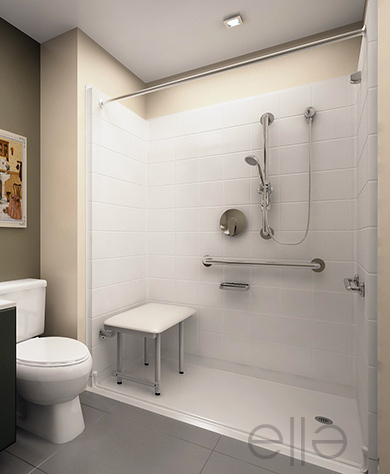 The external ADA grab bars can be places precisely where the bather most needs it. 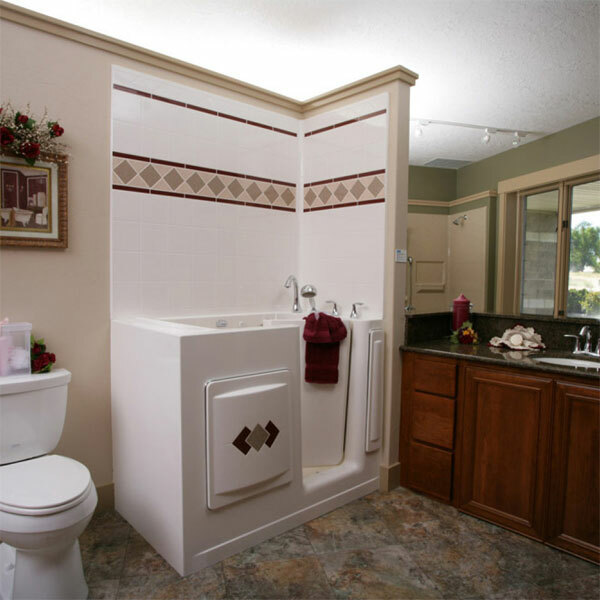 Customers that are remodeling will be pleased to know that most of the step in and wheelchair accessible appliances offered can fit into a traditional size bathroom. In many cases a complete remodel isn’t necessary in order to get the specialty bathing appliance installed. The plumbing is hooked up similarly to the how a regular bathtub is connected. The tubs however do have leveling legs to ensure a fully balanced product. For more information on bathroom fall prevention products, shoppers are encouraged to contact a customer care representative for more details. The company also provides the headrests without additional purchase necessary, however the seat cushions might be a great option for some bathers who would like to be raised further out of the tub.